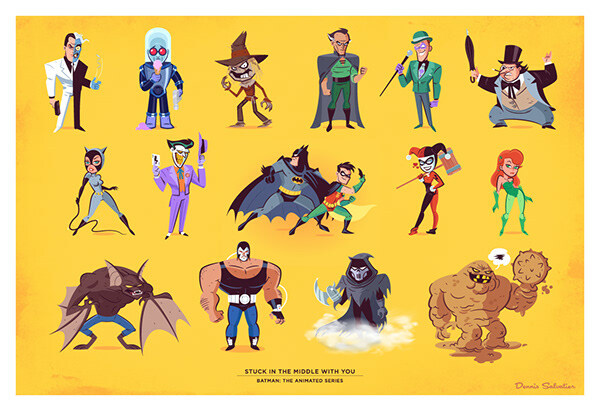 I'm a giant fan of the Batman animated series––it holds a special place in my heart. Last year, I drew a small doodle of Clayface and loved my stylized take on the villain, so I did the same with some of my other favorite bat-villains. The end result sits below. My take on Batman the animated series.